Here's something handy for people that drive around with growlers in their car. 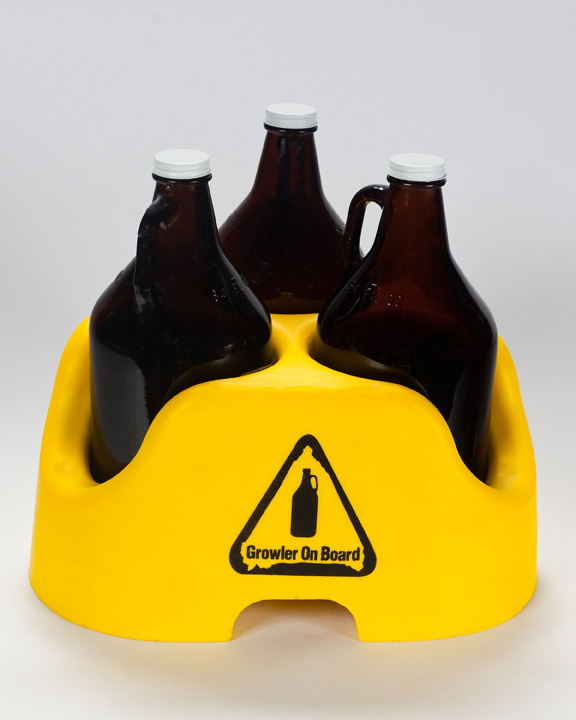 The Growler on Board Beer Transportation Unit not only keeps your growler from rolling around in your trunk or the floor, the low density foam that its made of also helps insulate it. According to the website, it can hold standard 1/2 gallon growlers as well as the 2L swing top style with handles and the holes in the bottom of each cavity can be used to hold the growler upside down for drying. The price is $29.95 and available online or at a few retailers. Don't forget to grab one of the handy warning stickers as well to inform other drivers of your precious cargo. According to the website, it can hold standard 1/2 gallon growlers as well as the 2L swing top style with handles and the holes in the bottom of each cavity can be used to hold the growler upside down for drying.